EMERGENCY APPEAL. We have 14 days to find $30,000 USD to pay the import duty on the hospital solar system. We have raised all the funds for the solar system and found a way to ship it to St Marc in Haiti. We just need to pay the duty and we can clear customs and power the new hospital. This is the home stretch. 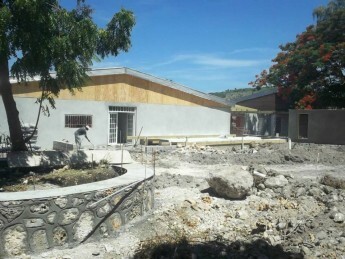 Funds have now been raised to complete construction of the hospital..... Just the solar to do and then onto fitting it out. Can you help?